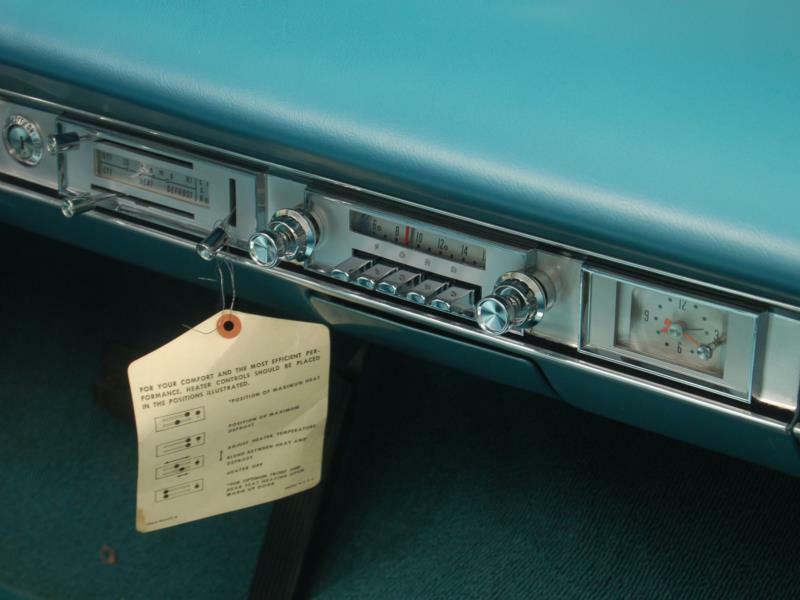 The 1960 Ford was an all-new car based upon a concept car; it even required a temporary one-year “pass” from various state requirements in order to be sold legally as-built! The cars, at 81½ inches, were actually wider than normal limits, and technically should have been sold with orange “clearance” lights on the roof. 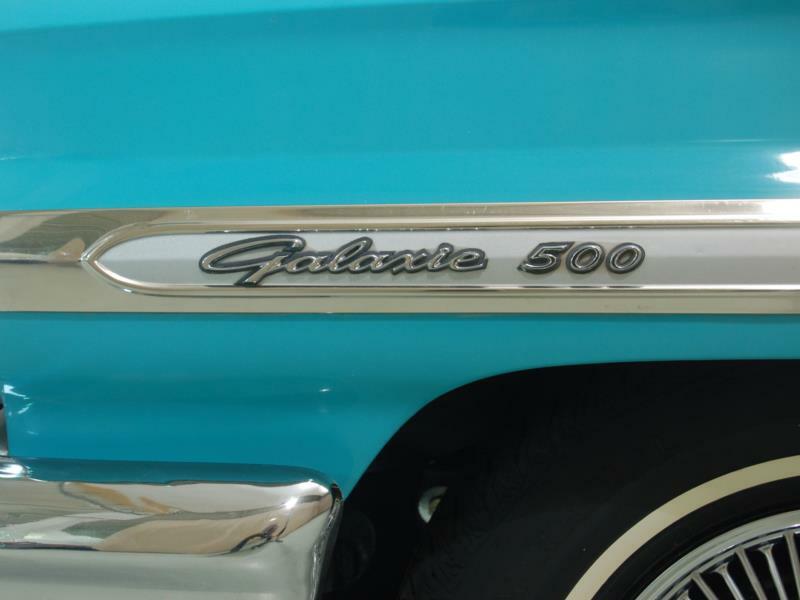 The Galaxie versions were still the top of the line, and for 1960, it was a proper model series instead of a sub-series of the Fairlane 500. A new “fastback” Starliner two-door hardtop coupe joined the line-up, with the signature Thunderbird-style roof that started the Galaxie line removed. 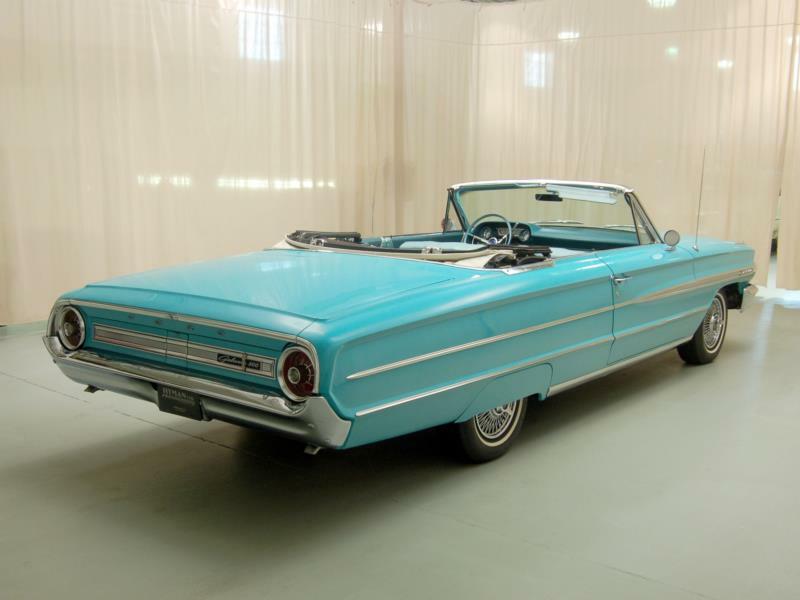 In fact, the Thunderbird-style roof was restricted to the Galaxie four-door Town Victoria, a pillarless hardtop. 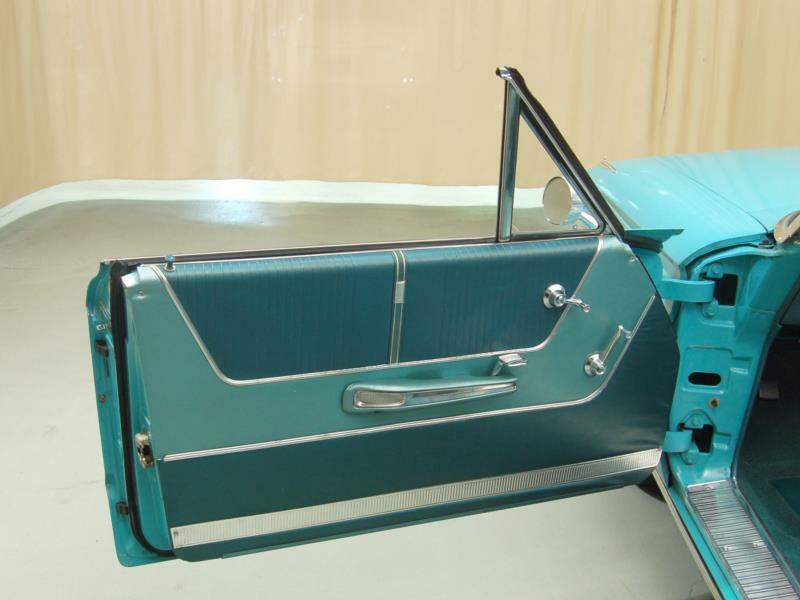 The retractables were also gone forever, but soft-top Sunliner convertibles were still available. Styling was restrained with fins laid on their side. 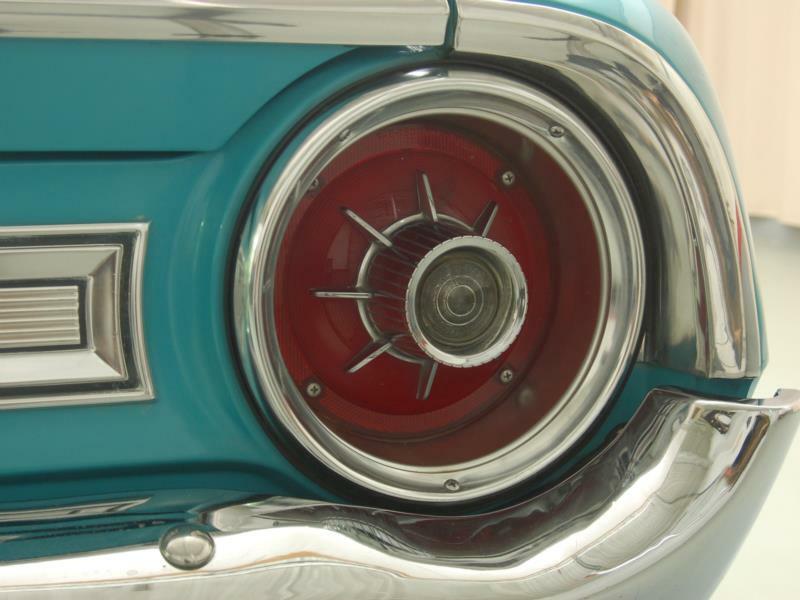 The standard round taillights took a break for 1960, and the smallest 292 V-8 was economized and detuned from 200 to 185 horsepower. Despite being an all-new car versus a warmed-over one at Chevy, Ford’s rival still outsold them by 215,000 cars. 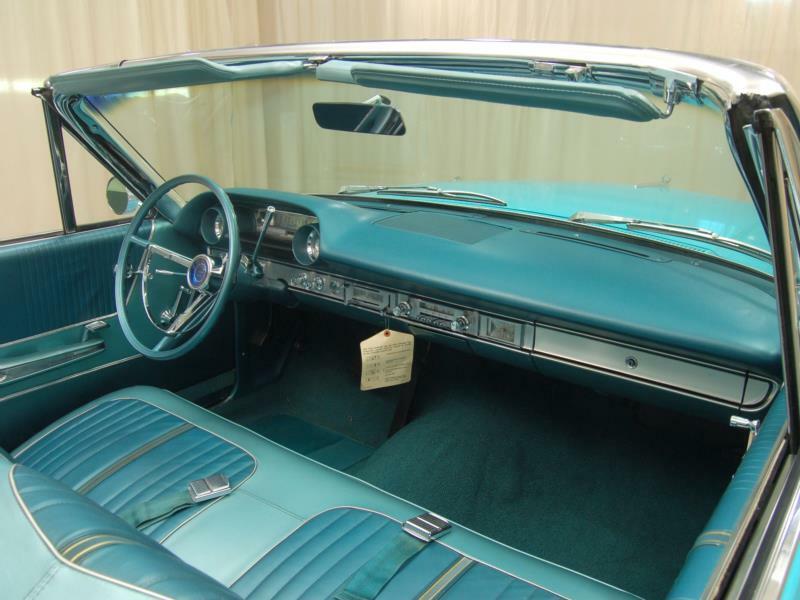 The 1961 Galaxie was reskinned from the glass house down and lost the distinct look of the 1960 cars. 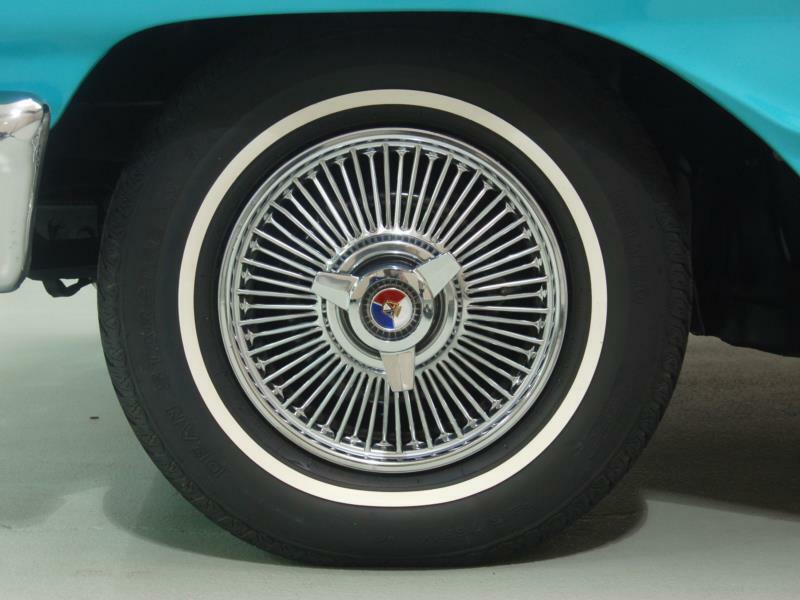 ’61s had mini-fins and signature round Ford taillights. 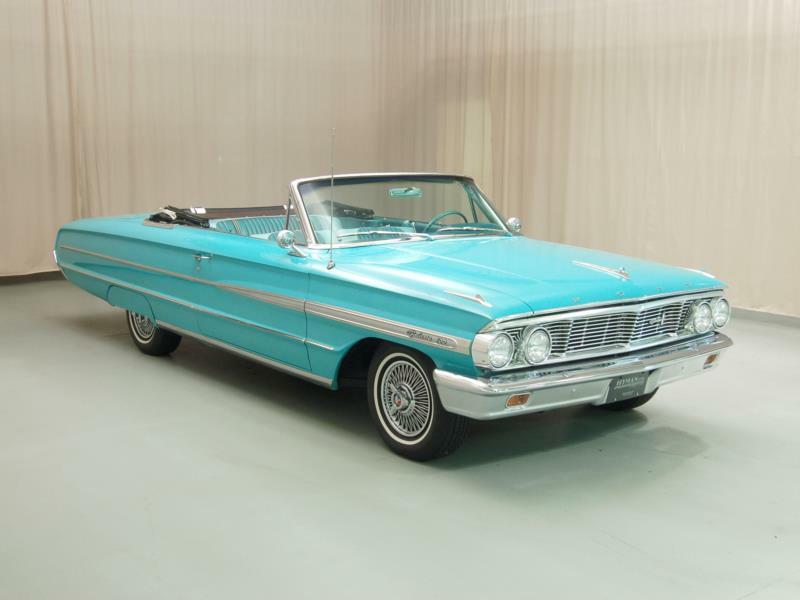 Ford also outsold rival Chevy in ’61; perhaps offering up to 401hp from the factory helped, as people started to once again think in terms of “performance.” The new FE 390 engine was just the ticket. 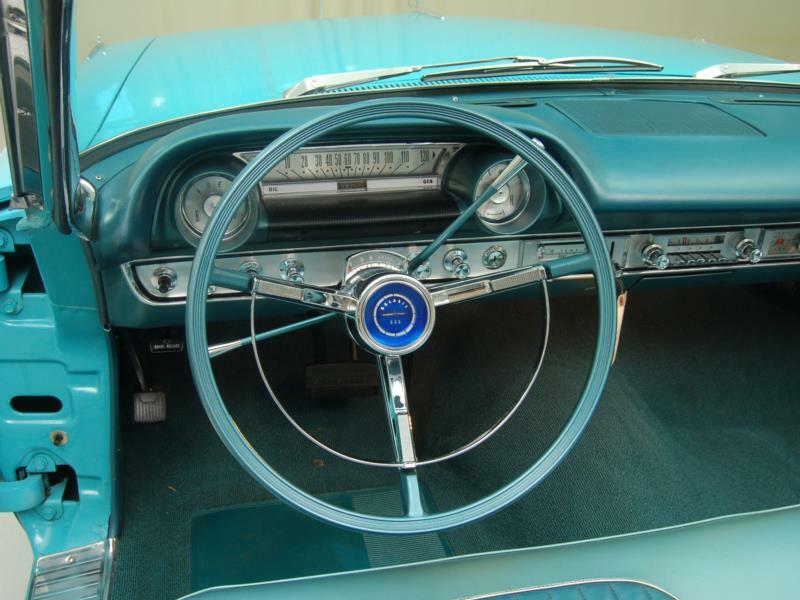 The 1962 cars looked cleaner yet, and all vestiges of fins were gone. 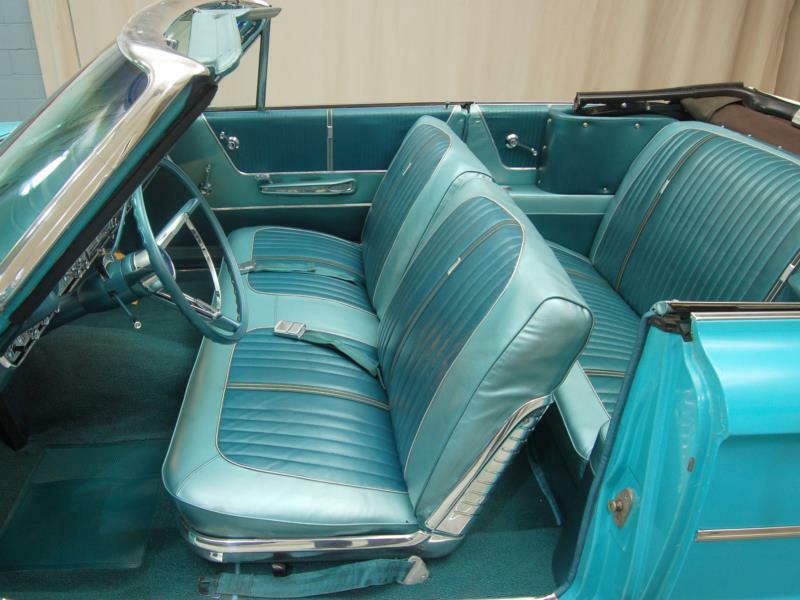 1962 also saw the return of a Thunderbird-style formal roof two-door hardtop. 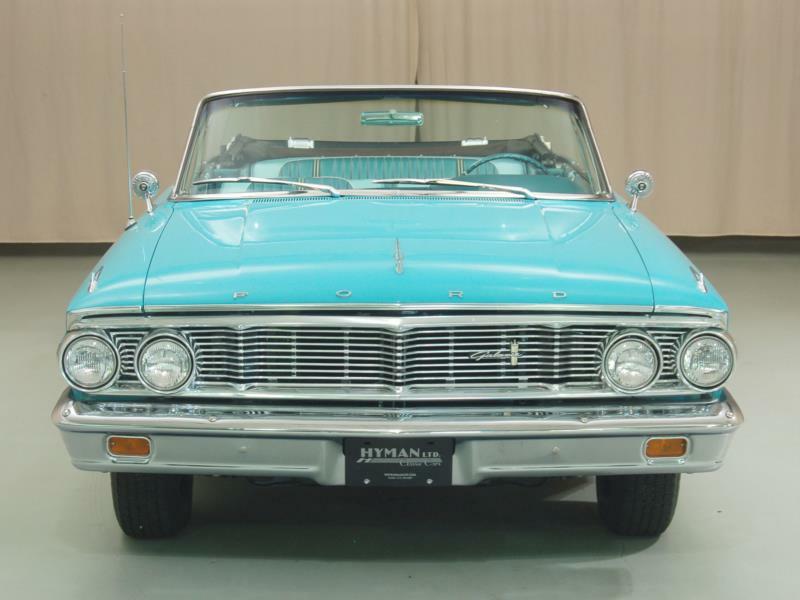 Despite the changes, Chevy outsold Ford handily, partly due to the introduction of the Chevy II. 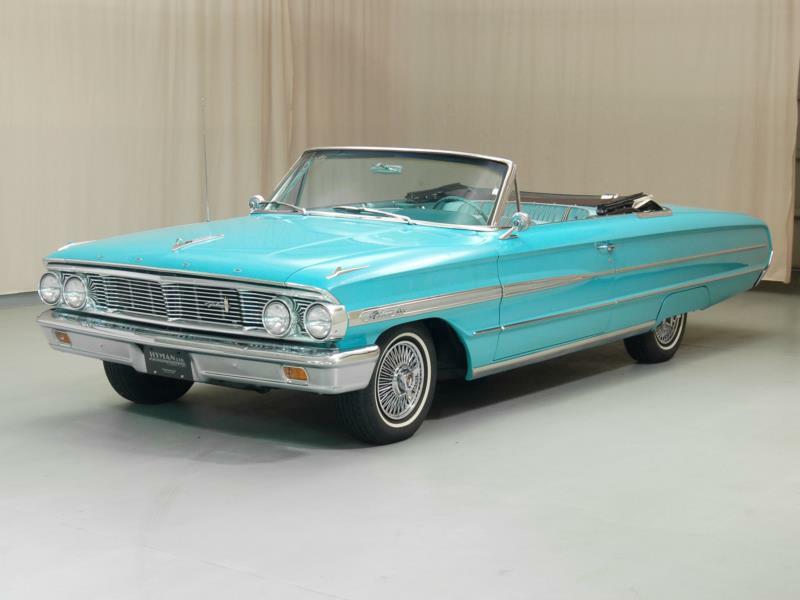 The 1963 Galaxie was reskinned from the glass house down again, and maximum factory power was 425 horsepower from another enlarged FE big-block Ford V-8 displacing 427 cubic inches. 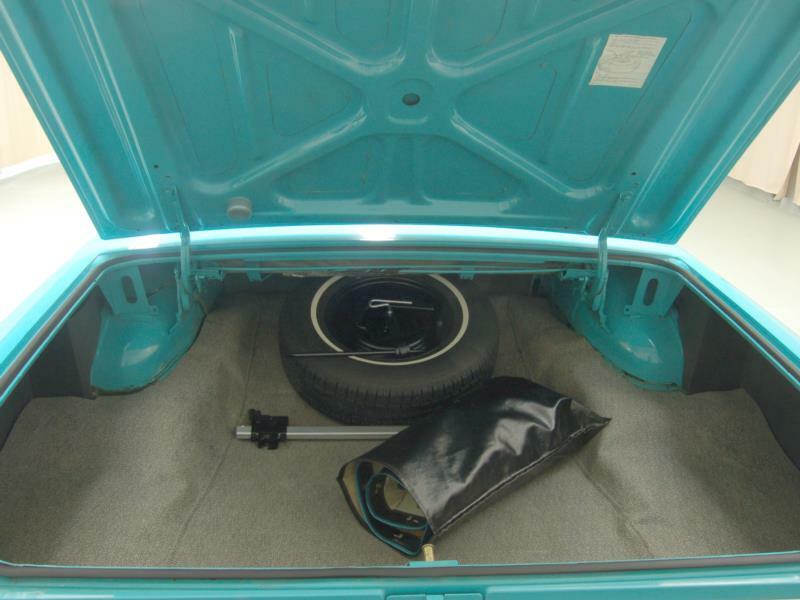 Half way through the year, a new Sports Hardtop (semi-fastback) was introduced, along with changing fashion. 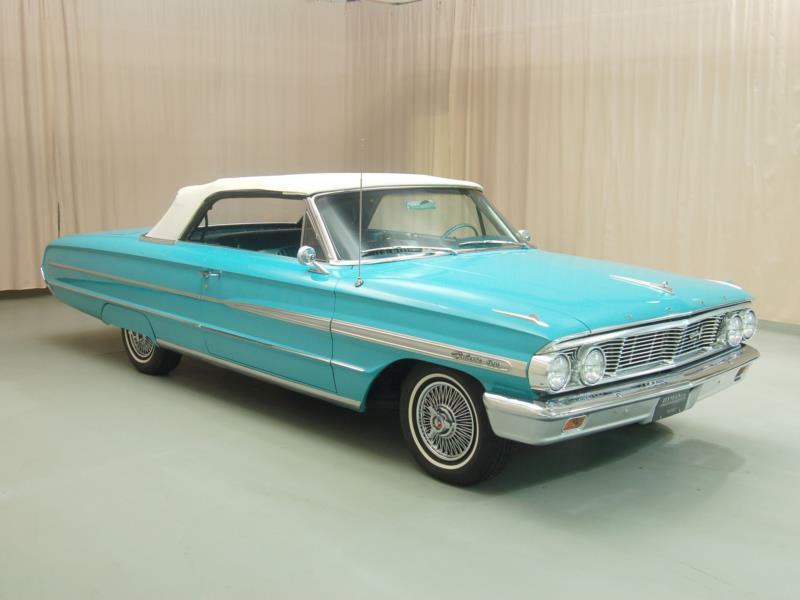 The 1964 Galaxie was once again reskinned, with the formal two-door hardtop once again going extinct. By now, Dearborn was getting desperate as Chevy was outselling them 3 to 2, despite the mid-year introduction of the highly popular Mustang. Something had to be done. 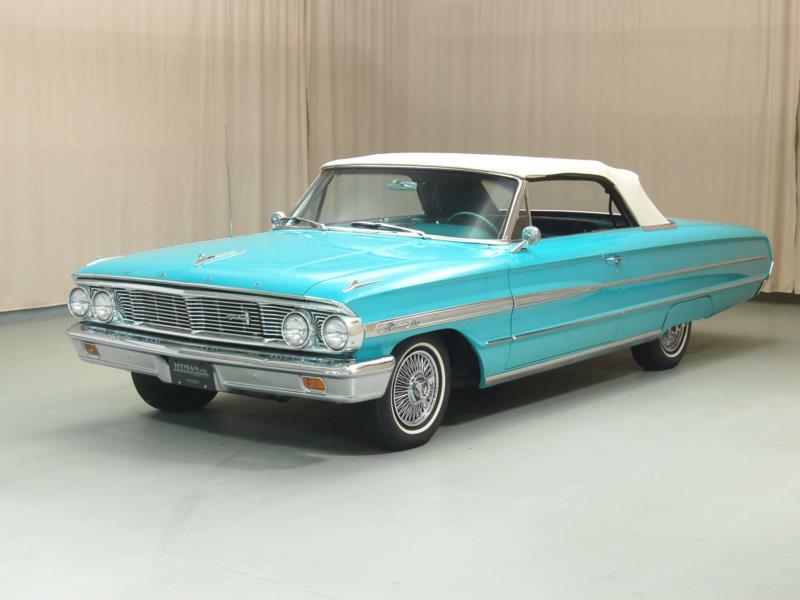 Click here to read Hemmings Motor News' Buyers Guide for the 1960-1964 Ford Galaxie.